Tonight, Wednesday 2nd January 2019, you can enjoy BBC2’s fascinating programme about The Nile. For a river that conjures up images of pyramids and pharaohs, the Nile turns out to be a truly surprising river that changes at every twist and turn of its journey. As its flows into increasingly arid latitudes on its journey north it becomes an evermore vital lifeline for animals and people, but only if they can conquer the challenges that this ever-changing river throws at them. The Nile’s story begins in a spectacular, tropical mountain range – the Rwenzoris. Streams plunge from these snowy peaks creating wetlands on the plains below. Here they create a mobile water garden of papyrus reeds, home to one of the world’s strangest birds- a shoebill stork. Though beautiful, clumps of reeds break up and float around creating a challenging environment for would-be fishermen. A stork’s best way of finding prey is to form a rather strange alliance – wily shoebills follow hippos whose great bulk opens up fishing channels for them. The Nile’s headwaters create huge lakes in the equatorial heart of Africa – everything here is on a vast scale, especially Lake Victoria which is the size of Ireland. Here vast swarms of lakeflies sweep across its waters on a biblical scale, providing an unexpected feast for local people who trap the insects to make ‘fly burgers’. It is not just Lake Victoria’s immense size which makes it so dramatic. The vast lake has only a single exit channel of ferocious white water – the aptly named White Nile. People come from around the globe to tackle the rapids here which are some of the most powerful and infamous in the world. A local heroine, Amina Tayona (a mum from a nearby village) is brave enough to ride them. Amina has learnt to kayak on these treacherous rapids – and now competes against international athletes. The next stage of the Nile’s great journey are the wild Savannah lands of Uganda and the awesome spectacle of one the world’s most powerful waterfalls, Murchison Falls. Here, valiant crocodile mothers try to defend their nest against hungry predators. Even though they are such fearsome predators – crocodiles have a weakness which other animals exploit. 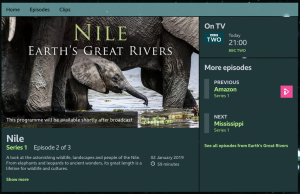 Watch as cunning Nile monitor lizards try to outwit an increasingly desperate Nile crocodile mother who faces a terrible dilemma. Further downstream is the setting for one of the episode’s most surprising stories. Filmed for the first time using the latest camera-trap technology, cameras reveal strange goings-on at the abandoned country home of infamous and exiled dictator, Idi Amin. Its ruins are attracting new, wild guests. Many of Africa’s big predators make their home here today. In South Sudan, the Nile river slows and spreads out transforming into a huge wetland – the Sudd (Arabic for barrier). Half of its water is lost due to evaporation here and this is before the river embarks on its epic crossing of the Sahara – a desert the size of China. Every year, the dwindling Nile receives a massive, timely injection of water far to the east. In the Ethiopian highlands, the Nile’s greatest tributary – the Blue Nile – is swelled by the wet season creating some of the most turbulent and dramatic seasonal waterfalls on Earth and forming a spectacular gorge which is nearly as deep as the Grand Canyon. The Blue Nile is a river revered and used in a variety of incredible ways – from mass baptism ceremonies in the ancient Ethiopian city of Gondar to colonies of cheeky weaver birds who use the riverbank’s reeds to build intricate nests. The Blue Nile replenishes the main Nile channel at the Sudanese capital city of Khartoum, the two become one and embark on the epic crossing of the Sahara. The miracle of the Nile is that it has allowed great civilisations to thrive in a desolate and arid region – today and throughout history. From the exotic city of Cairo, to the glories of ancient Egypt, breathtaking photography reveals the extent of the Nile’s power to transport water from one part of world and deliver it to another, building and supporting life. 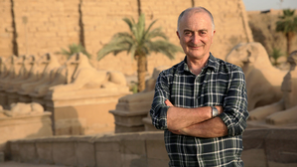 Tonight, on Channel 5, sees Tony Robinson going all Indiana Jones, scrabbling around archaeological excavations by the Nile and getting very muddy. 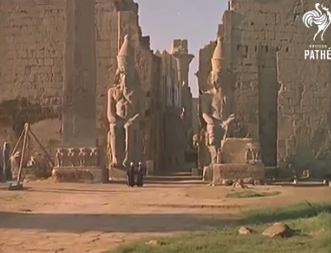 We see him wandering around the great ancient Egyptian monuments in Giza and Luxor, but it’s far more interesting to follow him as he becomes one of the first laymen to catch sight of new discoveries being made in previously unexplored tombs. Tonight’s programme is part one of two. 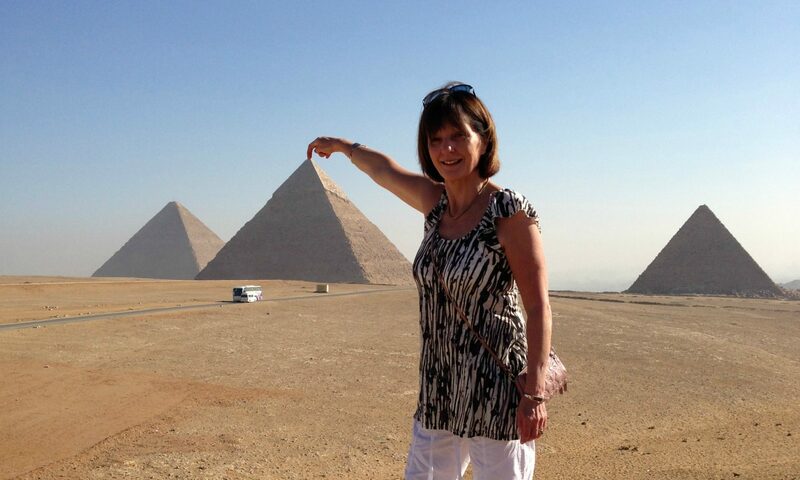 In part two Tony goes on a journey across Egypt, where a series of incredible new tomb discoveries are being made. 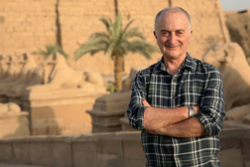 He travels the length of the Nile, from Cairo to Aswan, to investigate tombs of all shapes and sizes, and meets the archaeologists, including John Ward, who are unearthing extraordinary wonders. 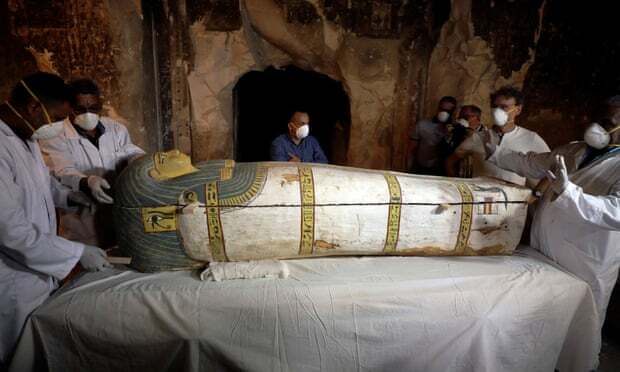 A previously untouched coffin dating back more than 3000 years was opened in front of the media in Luxor on Saturday. 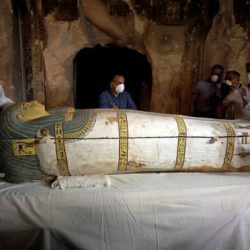 It was one of two sarcophagi found this month in the Al-Assasif necropolis – the burial site of nobles and senior officials close to the pharaohs. DUBAI — Egypt’s tourism industry is back on track, with total arrivals in the past 12 months up 33.3% from 2016 to 2017. The data, published by Colliers International, was released ahead of the Arabian Travel Market 2018, set to take place this year in Dubai from April 22-25. It is the leading global event for the Middle East inbound and outbound travel industry for the last 25 years. 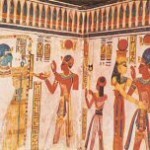 Egypt, in particular, will be of major interest at this year’s show, with reports of projected growth across the board. Between 2018 and 2021, arrivals from North America will increase at a compound annual growth rate of 3.9% to 318,844. Driving this growth will be the cheaper Egyptian pound as well as government incentives for charter airlines carrying passengers on international flights. Over the same period, visitor arrivals from Africa are also expected to grow, with a compound annual growth rate of 3.8%, to more than 300,901. Arrivals from the Middle East are expected to increase by 3% at compound annual growth rates, to over 1.34 million. In contrast, European visitors, who’ve traditionally been the key source market for Egypt, are projected to have a 1.6% compound annual growth rate. In 2017, there were 5.2 million European arrivals. The expected resurgence in visitors from North America, Africa and the Middle East will see both leisure and corporate travel in Egypt increase over the next four years. In anticipation, Egypt signed a three-year, US$66 million contract with advertising J. Walter Thompson to create promotional campaigns for 27 source markets. Moreover, major hotel companies have confirmed development projects, including Hilton’s Waldorf Astoria, Starwood’s St Regis and Swiss brand Mövenpick. Nile cruise passengers have also been rising steadily over the last few years so maybe this is the time for you to take that special trip?